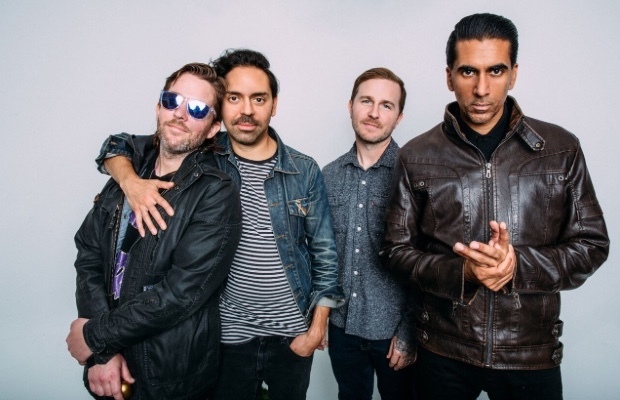 Produced, mixed, and engineered by the band’s own Arun Bali (notably, a Nashville resident), Saves the Day’s latest is the every bit the nostalgic, ambitious, and reflective piece of fan service it sounds like, which, in addition to providing a glimpse into Conley’s perspective of the group’s more than two decade run, also happens to be a damn good Saves the Day record, cementing their enduring relevance and continued creativity beyond the “emo revival” bubble that was happening the last time they dropped an album. To celebrate 9, Saves the Day are set to perform a free, all ages in-store set today, Oct. 26 at Grimey’s (which recently moved to East Trinity Lane), followed by a Q&A and fan meetup and signing. And as cool as that’s sure to be, for a full on Saves the Day experience, we urge you to also grab tickets to the band’s recently announced headlining show at Mercy Lounge, their first Nashville outing in five years, Nov. 18 with Kevin Devine and An Horse. We’ll certainly have plenty more thoughts ahead of that performance, including more on the band’s lasting influence and importance to the scene in 2018, but, for now, be sure to grab tickets here, stream 9 on your platform of choice (and/or pick up a copy at your local record store), then watch new video for “Side By Side” below!